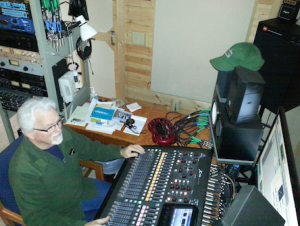 Had a great time recently working with Gary over at Audio Media Services. He’s very experienced in the music and recording industry. Gary provided script writing and use of his professional studio for a new commercial I was working on. With the new commercial now on the air, I took a few moments today to get it on the internet too. Radio still has it’s role in the marketers arsenal. But the beauty of the internet is that you can easily get that message out there farther than the stations can broadcast. Easily take a 30 second commercial and publish it to YouTube as a “slide-show”. This allows us to share it on the web and in social media. Need help with getting more mileage out or your media? Call or contact us for help.